Miles 'Tails' Prower has come a long way since his debut as a silent, second-player-controlled sidekick in Sonic the Hedgehog 2, becoming one of SEGA's most beloved mascots and appearing in dozens of games over the past twenty years. It's a bit surprising then that he's only had headlining roles in two titles, both on the Game Gear: the on-rails aerial action of Tails' Skypatrol, and a more traditional side-scroller, Tails Adventure. Rather than simply placing his sprite in a Sonic game, Tails Adventure casts the fearless fox into his own Metroid-inspired adventure platformer, as he embarks on a quest to save the conveniently-named Tails Island from an avian invasion. It's a much slower-paced experience than we're used to with Sonic, but it's just Tails' speed, and a great little game in its own right. One of the first things that tips you off to the gameplay difference is Tails' endearingly laid-back walk. Rather than speeding through platforming racetracks, you'll saunter through twelve non-linear levels, upgrading items and abilities in order to open up new paths in previously visited stages. Tails might not be quick, but he can fly, as well as attack with bombs - his somewhat surprisingly incendiary weapon of choice. Rings serve as the sole life-force, in the form of HP, but Tails seems to have figured out a much better way to carry them than Sonic ever has; hitting an enemy or hazard will simply take a few rings out of your total, instead of spilling the lot. 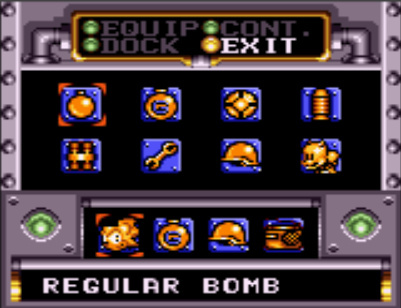 Discovering items and upgrades is a big part of the adventure, and along with several different types of bombs and the Chaos Emeralds - which increase your health and flight meters - Tails Island is littered with gadgets to find. Most are helpful tools, but quite a few of them are easter eggs, like a radio to change the background music, and some Sonic & Friends-themed surprises we won't spoil here. Far and away the coolest piece of gear in Tails' pack, however, is the minuscule Remote Robot, also known as Mecha Tails. This remote-controlled fox doll can walk, jump, and fly as well as the larger Tails, but can also squeeze into tight spaces to solve puzzles or retrieve objects, and can't be damaged by enemies. 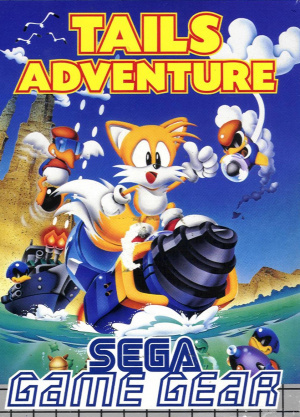 It also transforms into the sleek Sea Fox, a submarine-airship combo that has its own equipment upgrades to find, and makes this one of the only games in the Sonic family where underwater sections are genuinely fun to play. In fact, Tails' entire adventure is a joy, thanks to his many gadgets and especially the excellent level design. Besides being tailor-made for the small screen, these stages are also much less disorienting than the labyrinths in most Metroidvania-style games. There's definitely backtracking, and you'll pass plenty of puzzles that need as-of-yet unfound items to solve, but it's hard to actually get lost within the levels themselves. Instead, the exploration is about finding a fork in the road, picking a path, and coming back for the second one later. The Remote Robot is a huge help here, effectively allowing you to scout ahead without putting yourself in danger; it's adorable, side-scrolling espionage, and it feels great. There's quite a bit of variety between levels as well, with airborne battles, water current mazes, and a unique upriver salmon-hop stage all accompanying the platforming action, while inventive boss battles top off your first run through most areas. The only real gameplay annoyance comes from Tails' limited inventory. He can only carry four items into a stage at a time, and knowing which tools you'll need for the road ahead is up to you; if you find you're missing something important halfway through a stage, you'll need to traipse back to the beginning (or to another exit) to reach the world map and perform the swap. Backtracking to switch out your inventory is significantly less fun than backtracking to solve a puzzle, but the stages are small enough that it's a relatively minor issue. Once you get used to the momentum of Tails' flight, everything controls wonderfully. His measured movements are a perfect fit for the slower pace of the platforming, and lobbing bombs is a surprisingly fun replacement for the spin jump attacks of the mainline Sonic games. This 3DS Virtual Console release boasts an even better control scheme than the original, thanks to the pause/item-selection screen being mapped to the 'Y' button as well as 'Start' - considering how often you'll be switching equipment, being able to use a face button makes a huge difference. As with all of SEGA's Virtual Console releases, the controls are fully customizable, there are several different display options, and you can return to a restore point at any time. Along with the control tweaks, the restore points make this version immensely more playable than the original - back in 1995, players had to input sixteen-character passwords to continue their adventure from where they left off. The new digital manual even provides genuinely helpful gameplay tips from a modern perspective, as well as a welcome warning that you can't exit the password screen without entering a valid code. 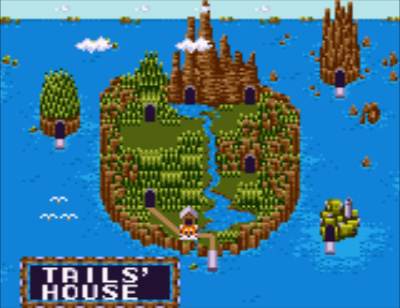 Visually, Tails Adventure is an impressive game for the hardware, but its graphical style means it hasn't necessarily aged as well as simpler titles. It's filled with repeating textures that seem a bit too busy for how closely they're tiled, and it's not as vividly colourful as you'd expect a Sonic spin-off to be - the backgrounds are heavy on chasms and caves, and Tails spends an awful lot of time wandering through the brown-to-dark-green end of the colour spectrum. 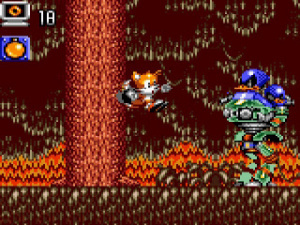 That said, the character and enemy sprites are beautiful, the animation is totally charming - Tails' in particular - and there's very little of the slowdown that plagues the Game Gear Sonic titles. There are plenty of the classic Game Gear graphical glitches, though, so having your health meter temporarily disappear behind a background element is a relatively frequent occurrence. The soundtrack is an 8-bit delight, with a score full of eminently hummable tunes by Kojiro Mikusa, who also worked on Sonic Blast. The audio levels are a little low, and the percussion track drops out every time you toss a bomb (the Game Gear's single noise channel at work! ); the songs are so good you won't mind at all. Tails Adventure is definitely the odd game out in the Game Gear's Sonic lineup, but it makes a sound case for its unique identity. This is SEGA's friendlier take on the Metroidvania formula - a fun adventure platformer with excellent level design, creative items and abilities, and some much-deserved time in the spotlight for Tails. For fans of the two-tailed fox, or adventure games in general, Tails Island is well worth exploring. Excellent review, I will d/l this one as soon as i put some more credit on my 3DS. Not played this before and didn't know much about it, I'd assumed this was yet another Sonic style platformer. The change of pace from the other Sonic titles sounds welcome, as good as they are i find the camera too close for comfort when you're zooming around at high speed, leading to some frustration. This sounds ideal for a handheld game. When i think of friendly Metroid style games, on Sega, i think of stuff like the later Wonderboy games, especially Dragon's Trap or Monster World IV, if it's as good as those, this will be a real treat. Wonderful review, Morgan. This seems like a really nice gem that I would've skipped otherwise. It just sounds like so much fun! Will definitely be purchasing now. I would love to play that, but alas Animal Crossing stole my gaming life. Definitely getting this. I've never been much of a Sonic fan, in fact, I've only had two Sonic games. Both were sidescrollers and I always opted to play as Tails and take a more laid-back approach to the levels. So, this sounds perfect. By the way, I'm downloading it right now !!! Been playing it on my 3DSXL. Really does feel like a good game. I played it before on one of the Sonic games on Gamecube (DX and Gems I believe actually). I got lazy after beating three levels and it not progressing me further and haven't back tracked to see what I've missed yet....Animal Crossing taking all my game time. There's already a Shadow game. It's called Shadow the Hedgehog, and it's on GameCube. It's really fun and different IMO. I heard this is like Gargoyle's quest, that seems pretty awesome but I'm not sure if I would get this. This will be the next GG game I purchase, most likely. It sounds fun. And Sega's VC is AWESOME. Way more user friendly than Nintendo's VC, by the way. I liked Tails Skypatrol more, personally. Excellent review! Looks like a really fun game. Very happy to finally own this outside of my GameCube compilations. 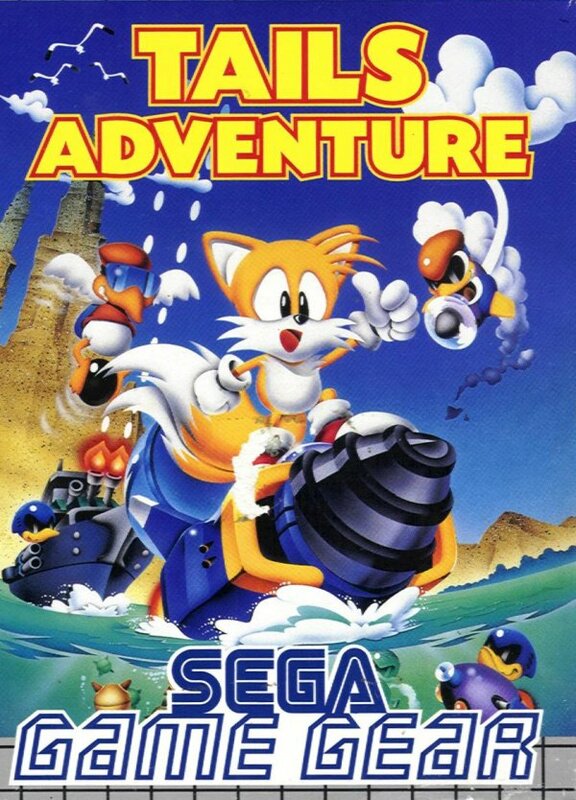 For me, Tails Adventure is the Game Gear game, and it's easily the best of the GG Sonic games, even if it is a spin-off. I'm very glad to see the review turn out so good. I'm really, really hoping we also get Tails' SkyPatrol. Sure, it's an import, but they had no trouble releasing it twice on the GameCube Sonic games. I might send SEGA an e-mail about that one. Thanks for the comments everybody!! And @OdnetninAges & @MagicBox - I LOVE Skypatrol, and I thought I was totally alone in that. It's such a unique game - reminds me of NiGHTS meets Cotton meets Ristar staring Tails - and the graphics/sound are some of my favourite on the system. It'd be fantastic on the 3DS! I didn't get the joke of Tails' full name until a time that was embarrassingly recent. Seriously though, this looks surprisingly deep for something I've never heard of. They should bring it back! Ha ha! Nice new avatar! It's sad how Nintendo doesn't put as much effort into their VC games when compared to Sega. They even have multiplayer for their 2 player games and thats a rare exception for Nintendo VC releases. These Game Gear games have been well received so far. Colour me interested. I'm very pleased to be getting the chance to try them out now on my 3DS. Hmm, may give it a try, nice review. Tails Adventure doesn't had 2-players though, also what effort are you talking about? Nintendo had released a ton of their 2-player games on VC already, Super Mario World and Kirby Superstar being two of them. I saw the review of this game in CGRUndertow a whiiiiile back, and I knew I had to own it someday. Next time I get credit for my 3DS, this one's the first I'm downloading. An awesome title for an awesome character. Go, SEGA. This is by far my favorite "Sonic" Game Gear game. I love "Metroidvania-style" games, and even if you don't this is a good game to start with them. Please buy this so we can get a "Tails Adventure 2" some day. From an era when Sega oozed creativity. Glad to see one of my favorite Game Gear titles on the 3DS eShop. It's woefully underrated, since not many people gave it a fair chance. 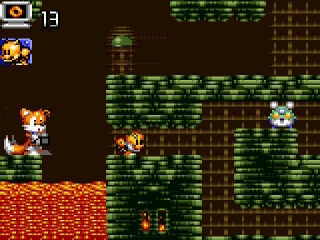 Tails Adventure is the closest to a Metroid on Game Gear, similar to Sega’s own Wonder Boy games (Dragon’s Trap, Monster World IV) and Capcom’s Gargoyle’s Quest trilogy. Despite what the Western descriptions tell you to believe, the Japanese storyline is more canon; this game took place before Tails and Sonic first met. Just remember that Tails didn't have any spin jump abilities to begin with. The gameplay is very fun, as the controls are perfect for the slow-paced platforming. 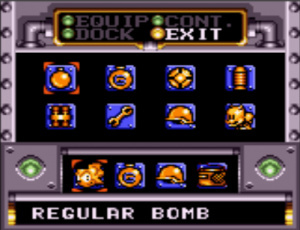 To make up for the lack of spin jump attacks, Tails has an arsenal of bombs and gadgets that he must acquire first in all 12 stages; the Remote Robot/Mecha Tails and the Sea Fox/Sea Tail (Tails’ submarine in Sonic Triple Trouble) are very useful. For a Game Gear title, it boasts impressive visuals and a fantastic soundtrack. 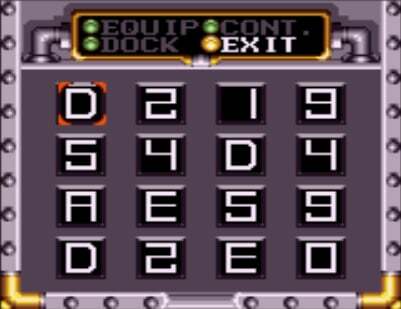 As always, Sega and M2's Game Gear emulations are fantastic for providing screen settings and customizable controls. Tails Adventure is an excellent Game Gear gem worth playing on the 3DS Virtual Console! I meant that the 3DS games don't display much effort compared to Sega's ports. Only a select few Nintendo published 3DS VC games have multiplayer. Game Gear starting to fill up my purchases list, haha. Going to have to download this game at some point. It sounds like alot of fun. I was wondering whether or not to pick this up as I'm a tiny bit (okay a lot) rubbish at the Sonic platformers...and platformers in general, really. But I like the sound of the change in pace and Tails has always been my secret favourite Nintendo character, so I'll give this a try! Great review, thanks. I never finished Tails' Adventure, so I'm very much looking forward to this game. i still have my gamegear with the first sonic lol... I remember bein like 6 or 7 bugging out cause it had colour, where as my gameboy did not.. def might check this out on my 3DS though!